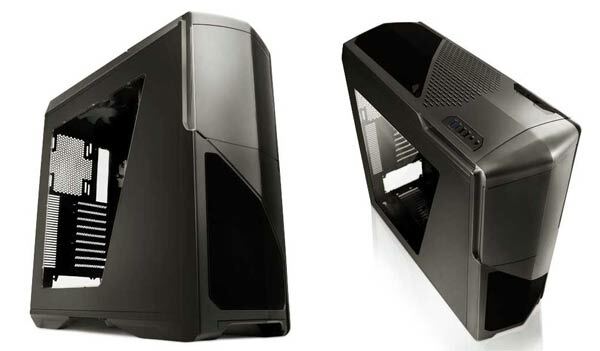 HEXUS reviewed the original NZXT Phantom 630 chassis at the start of 2013. It scored well in our review and won a HEXUS Performance Award. The Phantom 630 case offers a spacious interior and great cooling performance with good disk mounting options and an integrated fan controller. What is more the chassis is very easy on the eye and available in white, gunmetal grey and black with the latter in a smooth velvety matte finish. Now NZXT has introduced a new variant of the Phantom 630 with an acrylic side panel window double the size of the previous version. The new chassis, which has just been announced, is called the NZXT Phantom 630 Windowed Edition. Introducing the new larger windowed chassis NZXT wrote “You have been asking for this for a while and we've delivered...” The new case is said to bring the original’s “bold innovation to the next level with a large side panel window”. NZXT writes that there was only one complaint about the original Phantom 630 – the side window was too small. Actually in the HEXUS review the original case wasn’t marked down because of this but because of “fragile drive bays”, up-and-over cable routing being tight and the higher end Phantom 820 being just £30 more. However there was “a lot of things right” with the original chassis and it offered “an admirable blend of performance and usability”. In addition to the basic spec listed above the Phantom 630 also has the following qualities which help make it more appealing; fully modular internal drive bays with abundant cooling options, an integrated 30-watt single channel fan controller, a dual-level motherboard tray and a rear-mounted multi-port fan hub. Upgrade with a new side panel? If you have already purchased an NZXT Phantom 630 chassis and really like the new look offered by the Phantom 630 Windowed Edition you will be happy to know that, from October, NZXT will be offering a standalone window upgrade offer for $29.99. Of course it’s available in all three colours to match the original Phantom 630 finishes.